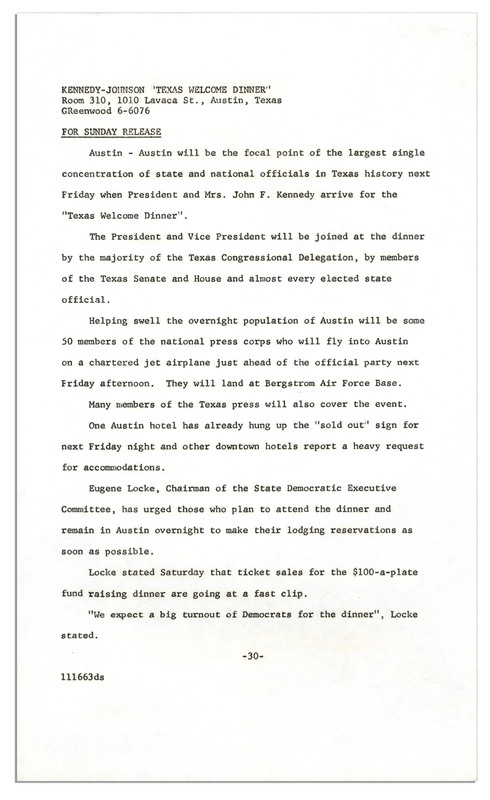 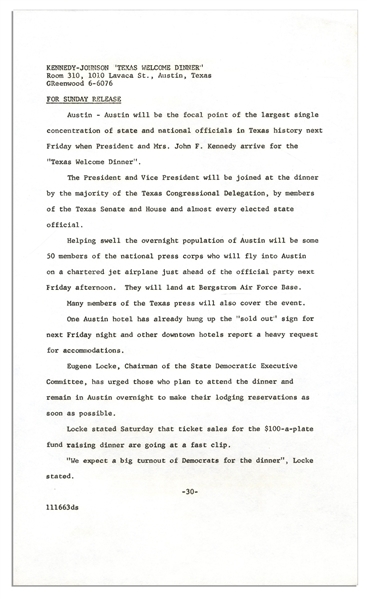 Press documents for the John F. Kennedy Welcome Dinner slated for the evening of 22 November 1963 in Austin, Texas. 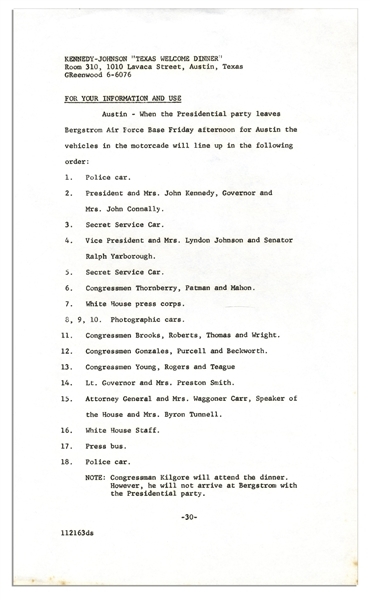 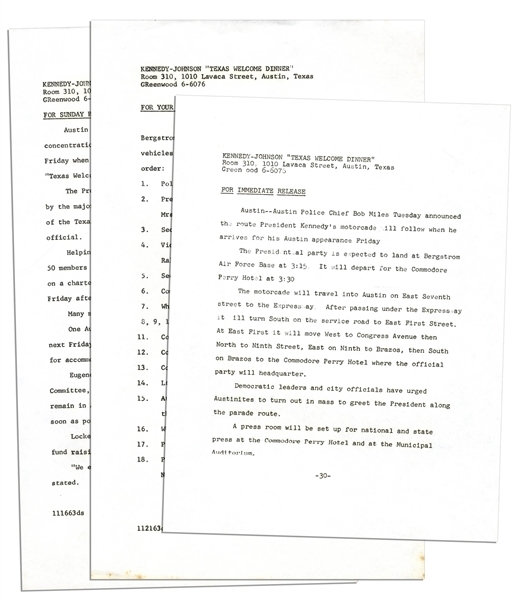 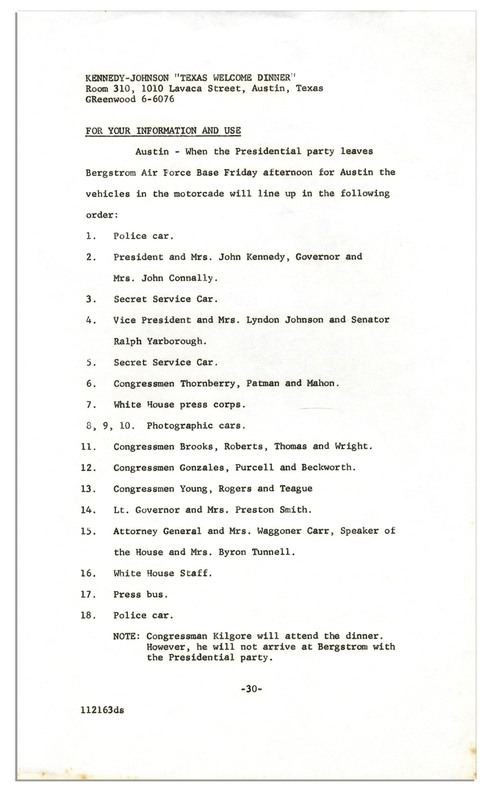 Each of the three typed pages, original from the event, supplies the media with news pertaining to Kennedy's visit, including, surprisingly, the President's exact parade route, and the motorcade line-up showing the President's car as #2 behind the police car. 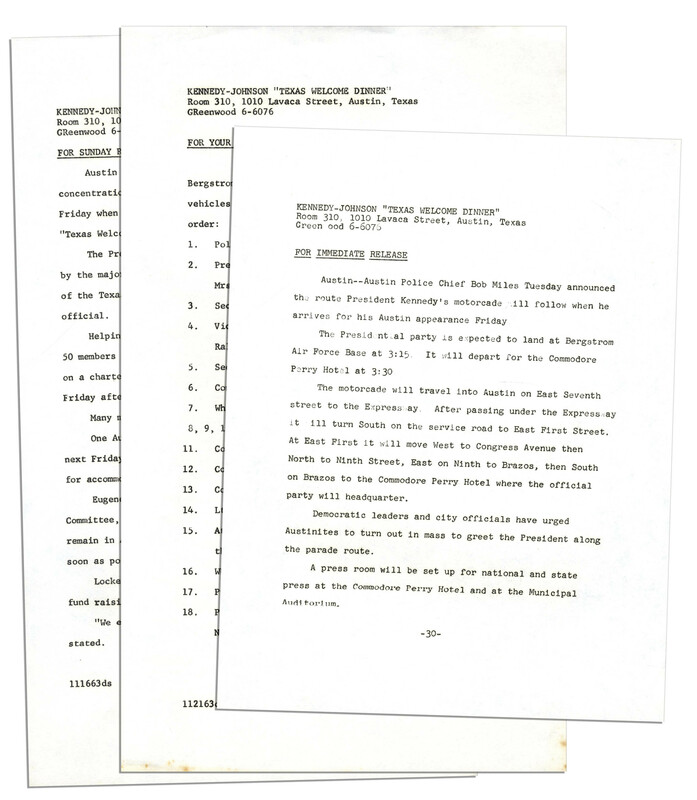 One page is letter size and the other two legal; 8.5'' x 11'' and 8.5'' x 14''. 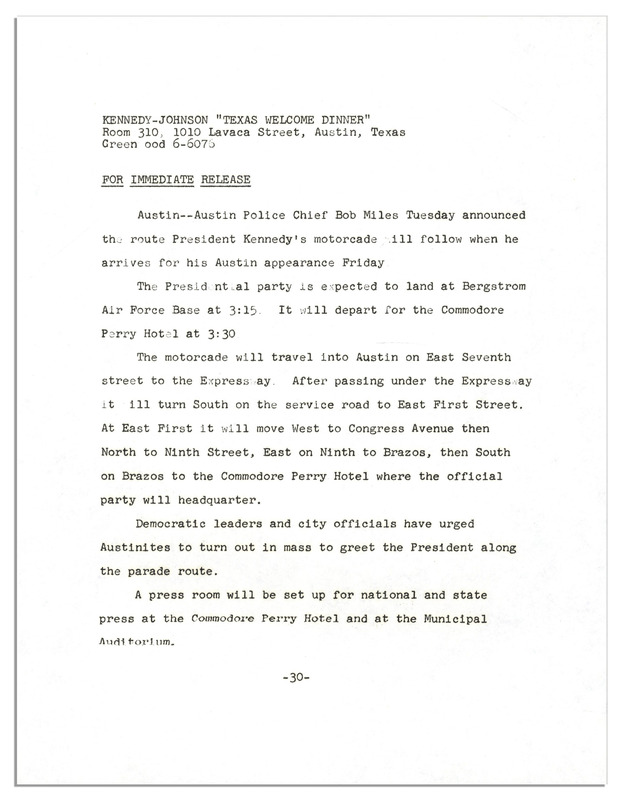 Toning to one page, else near fine condition.